Filipino Rights Groups Slam Labor Sec. Bello for referring OFW in Kuwait as "stuffed like Ice Cream in the Freezer"
Filipino rights groups from Hong Kong have launched a campaign to oust the Philippine Labor Secretary Silvestre Bello for referring Joanna Demafelis, OFW in Kuwait as "stuffed like Ice Cream inside the freezer" and "family became instant millionaires" as he cited during his meet and greet in HK. The remarks sought rage from the Filipino community as they say Bello "shamelessly pro-recruiter an anti migrant worker and insensitive to the plight of OFWs". The noted petitioners were BAYAN Hong Kong & Macau, Mindanao (Hong Kong) Workers Federation, and the Global Ministers Association. 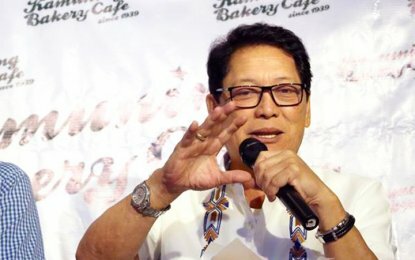 “Bello told the OFWs that they should prepare well for their future, and not wait until they turned into ‘ice cream’ like Joanna Demafelis… before they became self-sufficient,” the coalition behind the so-called “Oust Bello Movement” wrote.